José James is no stranger to San Jose Jazz. As an eclectic artist James combines blues, spoken-word, hip-hop, contemporary R&B and jazz to form a genre all his own. One of the first artists featured in our Jazz Beyond programming stream, James has been on the rise since his debut on our stage for Winter Fest 2013. Having seven albums to his credit, James’ latest project Lean On Me: José James Celebrates Bill Withers came out of a dinner shared by the R&B icon and James, as fanboy. Inspired by the question, “What better way to bring positivity to the world while challenging the racist, fascist and sexist status quo?” James sees Withers’ songs as a reflection of “a love for community, for unification; his music respects elders, mentors and explores male vulnerability in a way that’s missing from today’s R&B. And his catalog is vast and powerful. He’s simply one of the best living songwriters, period.” James set out to sit down with legendary jazz singer-songwriter, Bill Withers, not knowing that his meeting would spark a national tour featuring some of the most infamous tracks of Withers musical career. 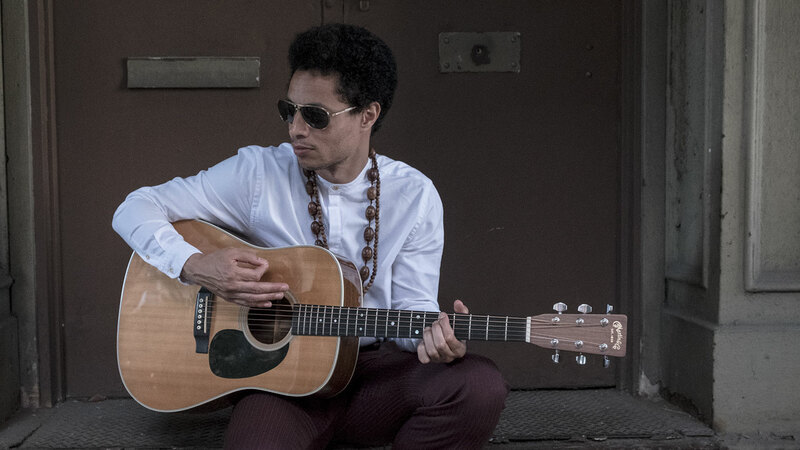 Catch Lean On Me: José James Celebrates Bill Withers at Cafe Stritch on May 12 at 8pm and 10pm.